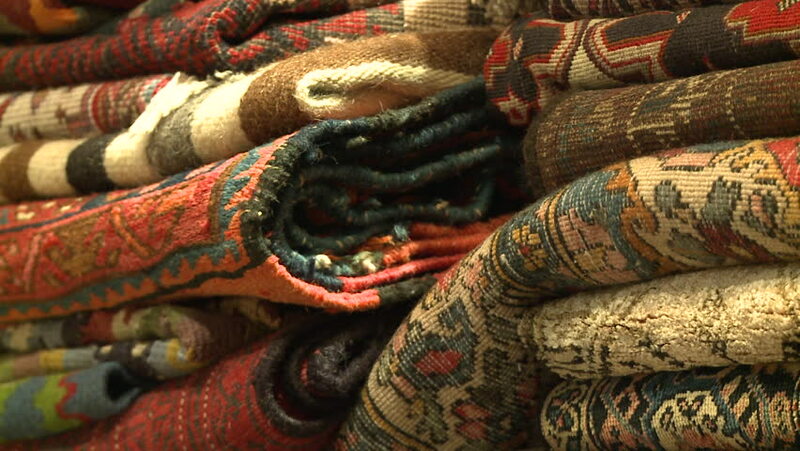 Rugs and carpets. Close up tilt down/up across wool and silk carpets and rugs from different countries and traditions, stacked in a carpet shop. 4k00:07Makepung – Buffalo Races. A cultural tradition. The bovines beautifully and carefully dressed up with ornaments from hoof to horn in Bali, Indonesia. hd00:17BHAKTAPUR, NEPAL - 13 OCTOBER 2018 Woman with child on house yard. Ethnic woman with baby, plenty of wicker baskets for sale in bright sunlight. daily life, oriental ancient city after earthquake. hd00:1129th July 2017. Bangkok, Thailand. Thai tradition art performing in Bangkok, Thailand.